When looking for the best place to kill some time and enjoy all big sports games, the right place to go is Society PB. We has been around for over 30 years in Pacific Beach and it has been a great place to entertain both locals and tourists while they enjoy all of amenities. Pool is a great game, that a lot of people around the world enjoy. Society PB holds a great pool in a Pacific beach where everyone in San Diego can enjoy this game. A great number of people love to visit this great pool hall for the best services they offer. Rating it as the best pool hall in San Diego is not a mere say, it is what everyone needs to experience. Along with the pool hall, Society PB holds a bar and a restaurant. You can keep your mouth busy and your stomach filled with the sumptuous servings from the restaurant. The bar is a large one, and it holds a large variety. There is a great collection in there; you are definitely going to find your taste. You can always order your wine at the bar to sip while at your pool games or shuffleboard. There is a Pacific beach at Society PB where you might get a little sandy, but there are also lots of many other different games and activities to engage in. This pool hall is the kind of place where you lose your watch on time. There is so much fun and activities to keep you engaged. It’s a great place to unwind after the week’s stress. Forget about your stress and worries while you watch the game and play some pool with friends. 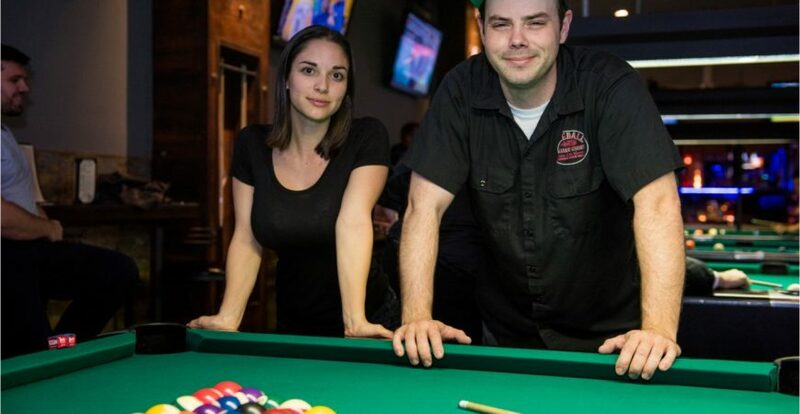 If you are looking for the best place to unwind and have a nice time this weekend, you should visit the best pool hall in San Diego. Whether you live in San Diego or you find yourself around there one of these days, you need to see what Society PB pool hall is like. There is not a single place like this in San Diego. Meet with all the fun and assortment of people here. You are bound to have a good time. See you soon!